A couple of years ago, I finally came to terms with the realization that the beloved car I’d driven for 16 years was beyond repairing. Rebuilding the transmission would have cost more than double the value of the car after it was repaired. Letting go of that car was not an easy decision to make. My kids had grown up in that car. They had learned to drive in that car. We’d been across the country and back in that car! But the end of the Ford Probe era had come. 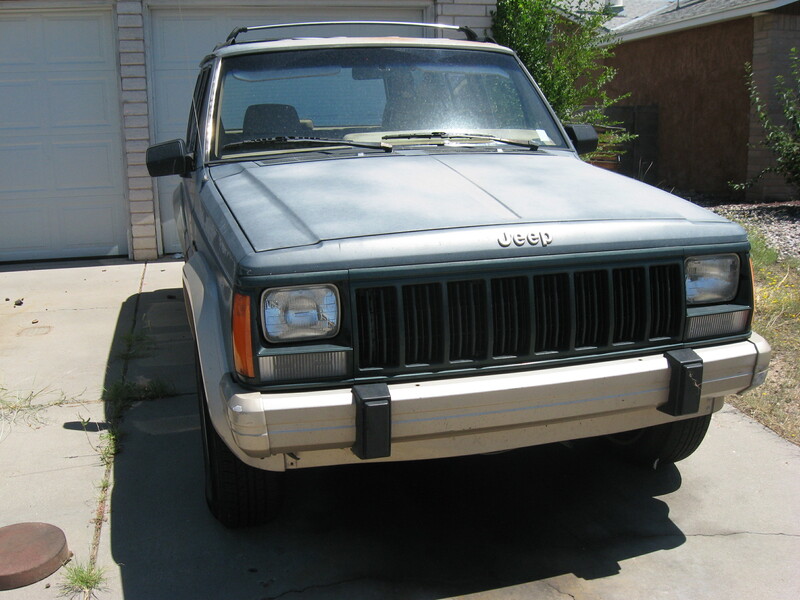 While I was grieving my car’s demise, I drove a borrowed Jeep Cherokee for a time. It was one of the old boxy jeeps from the mid 90s, not the modern curvy ones – and, over time, I grew to really like it, even the manual shifting. The four wheel drive part was fun, too! I thought, but did not write, under 100,000 miles. No way an old jeep could have mileage that low! “Low mileage,” I added, “and affordable,” meaning under $2,400, the amount of money I had left in the bank. Then, I promptly forgot about the post. A week later, come Saturday morning, I was distractedly browsing the Craigslist ads when I saw a new ad for a jeep, which seemed to have most of what I was looking for. The next hour was a whir – I called the owner, stopped by the bank to withdraw the asking price amount, did a test drive, and bought it! Driving home afterwards, I noticed the faded light blue paint on the hood looked gray or silver, and I started to laugh. It was older than the jeep I’d been driving, and had 97,000 miles on it. I had received exactly what I’d asked for, literally! 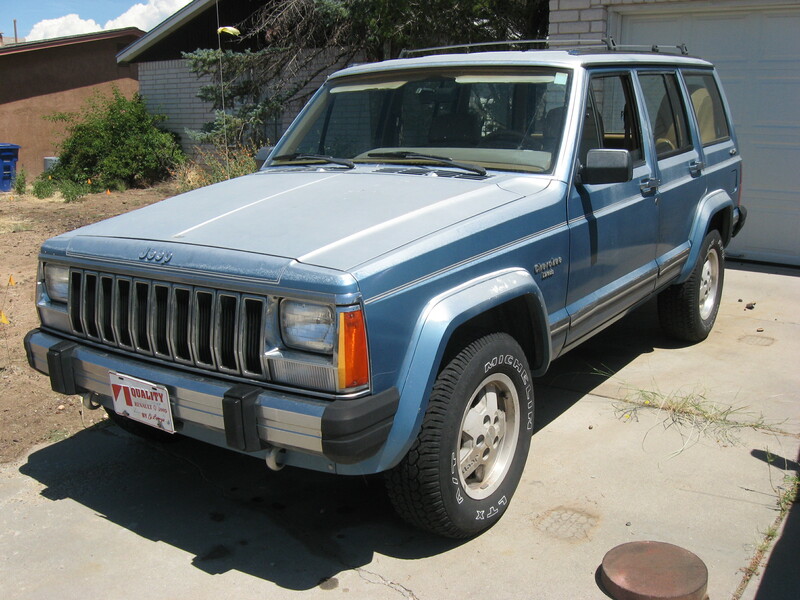 I’d even inadvertently, asked for a jeep that was older than the one I had been driving, and I got it! Featured image credit: Ashtyn Renee (License) Image title added. Great reminder about the power of intentions, desires, thoughts, words, and wishes! Hey, if it got you the Jeep you want, what else could we wish for next…? 🙂 Happy driving…and manifesting!